It is not unknown in China today for foreign students to come and study Chinese medicine and Chinese martial arts. 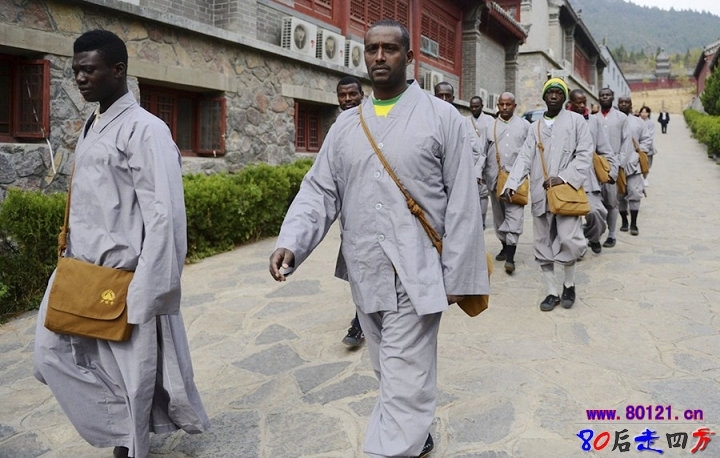 This article records a group of African Buddhist monks as they study and train in martial arts at the Shaolin Temple. To Chinese eyes, the 8 photographs of their training efforts might seem unusual – funny even – as we are not used to seeing Shaolin monks from other parts of the world! 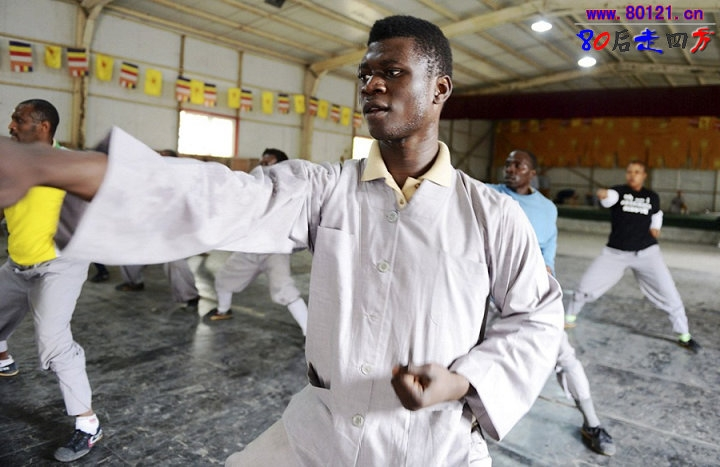 However, it must be remembered that these African brothers are legitimate Shaolin Temple disciples and are diligently training not only in martial arts, but also in acupuncture and massage. Their presence in China serves to remind us of the unique Shaolin Temple tradition, and is the consequence of the fame of this temple’s reputation spreading throughout the world. Not only this, but China now exports martial arts equipment and training DVD’s, and Chinese teachers regularly teach abroad. 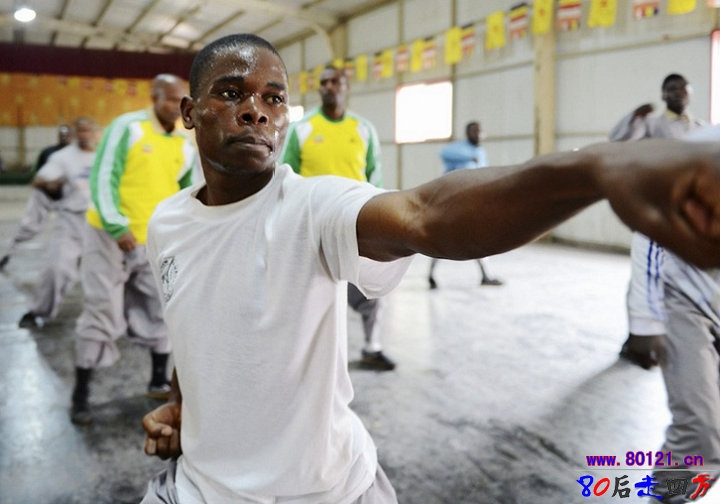 This explains why many Africans practice Shaolin martial arts. 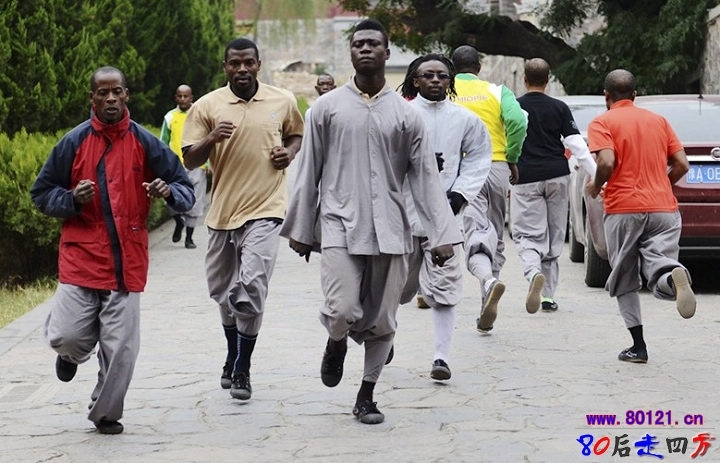 After training in China, these foreign monks return to their homelands and further promote Chinese Shaolin culture. 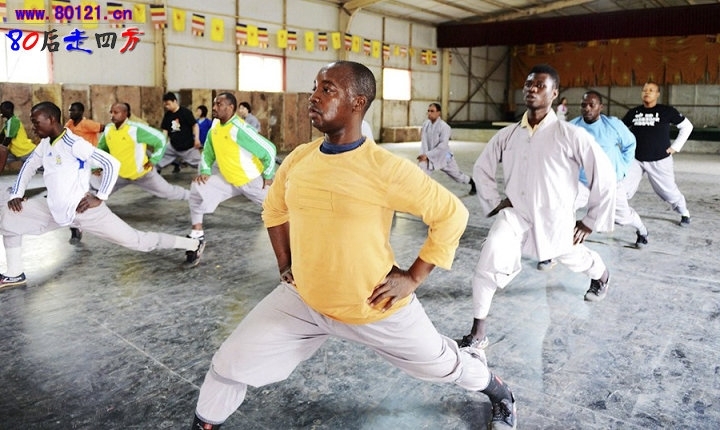 According to a recent report, the Shaolin Temple in Henan currently has 20 ‘foreign students’ from 5 countries in Africa studying martial arts, acupuncture and message, Chinese conversation, Chinese writing, and Buddhist ritual courses. These foreign monks, according to reports, must spend a minimum of three months training at the Shaolin Temple. Next Post: Fake Chinese Monks and Nuns Discovered Professionally Begging on the Streets of New York – a Get Rich Quick Career Path?